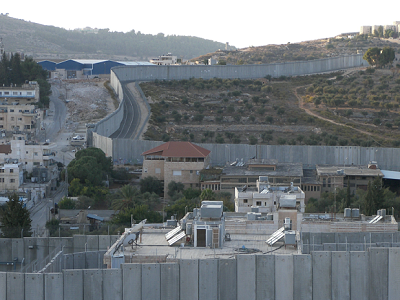 There were no electricity for five days and no water in Qalandiya refugee camp, said Mahmud. “Just as it was at your place”, he said. I thought that is wasn’t exactly how it was at our place Mahmud, not exactly. 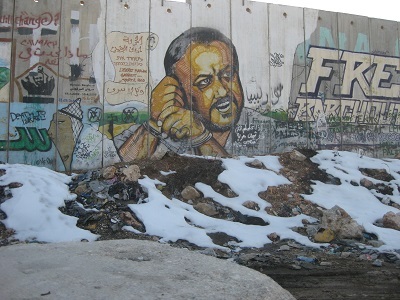 The relics of the snow by the side of the wall made Marwan Barghouti, whose staring face appears on the wall, grow pale. Perhaps it was the brightness of the snow or it was all in the eyes of the beholder, but it seemed that on that day, as the date of the release of Palestinian political prisoners was approaching, Barghouti’s face, a man who rots in prison and who once might have been the one to lead the Palestinian people towards independence, is starting to vanish, to fade away from our consciousness and perhaps even from history. The hand of the policeman Menashe Hai covered the camera as I was pointing it towards three BP policemen, head hunters at the entrance to Qalandiya checkpoint. As I kept trying to take a picture, the policeman took me to the station where I received a lecture by police officer Ami, the high commander of the checkpoint, which was mainly about the regulations forbidding pictures to be taken inside the entire complex of the checkpoint. Ami demanded that I act in accordance to the regulations. I refused. I know that regulations are regulations, but the law is the law and it contradicts the regulations that Ami came up with. According to the law, it is permitted to take a picture where ever there are citizens, and the checkpoint complex fits the law’s definition. “If the good way doesn’t help you accept it, then you’ll accepts it in another way”, said Menashe the policeman. I was detained. The reason: “disobedience to a policeman”, they also opened a file, number 123. Menashe called someone on the phone and asked that they send a police vehicle from somewhere and take me to be investigated; he also threatened me that the investigator might decide to arrest me. I took that into account and decided not to change my position. But the vehicle didn’t come. Menashe called again, he reminded them and pleaded. And the vehicle didn’t come. I didn’t want to sit at the policeman’s room. I prefer not to be where I am uncomfortable, as I told them. I stood outside. Soldiers passed me by and stared, they whispered as though I was on display at a zoo. 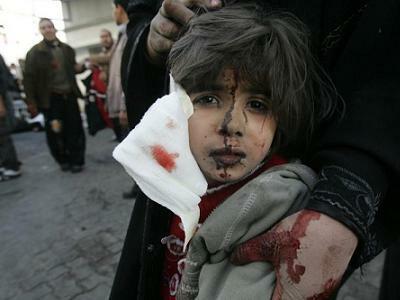 I thought about the hundreds of detained Palestinians I had seen over the years. Now I was detained like them. But it wasn’t really the same, it still wasn’t the same. I knew, and so did Menashe who was told to keep an eye on me, that the law forbade them from detaining me for over three hours. At the end of the three hours Menashe, whose shift was about to be over and whose wife gave him a list of items over the phone that he was supposed to pick up, hurried to fill a detainment form. I signed it under the section saying that I wasn’t beaten and that nothing was taken from me. There was no section that mentioned the time was stolen from me. All and all I was detained for three hours minus eight minutes. I went out to the very cold night of Qalandiya and saw the three BP policemen still on the job, and by them were a detained man and a teenager, shaking from the cold.